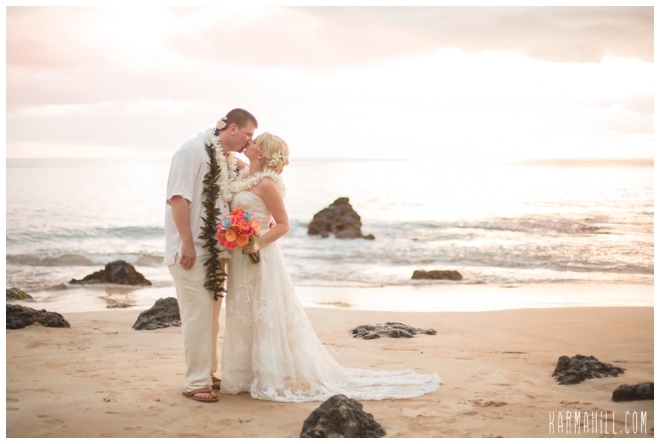 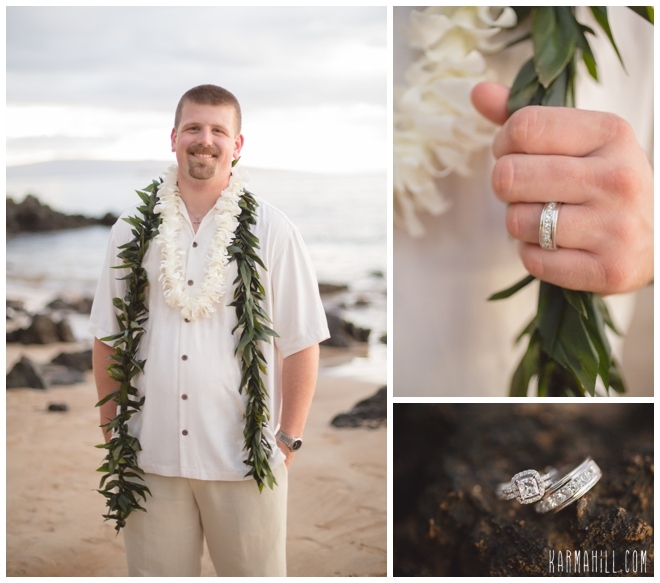 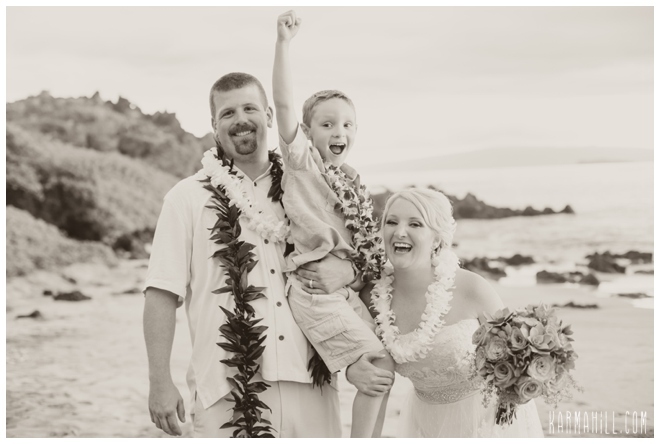 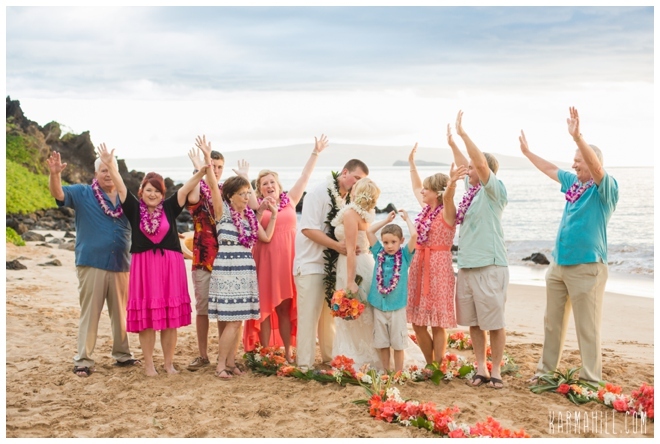 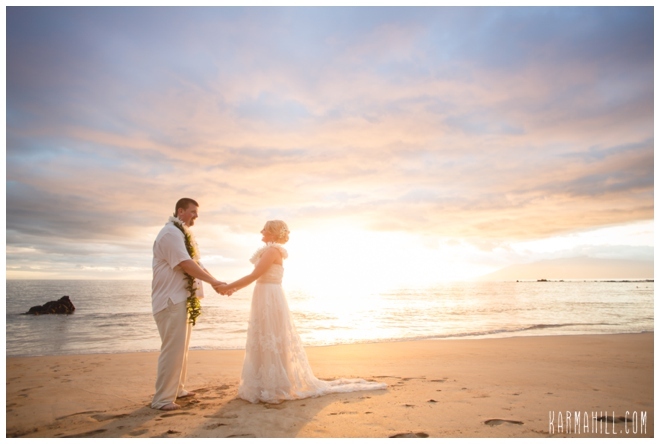 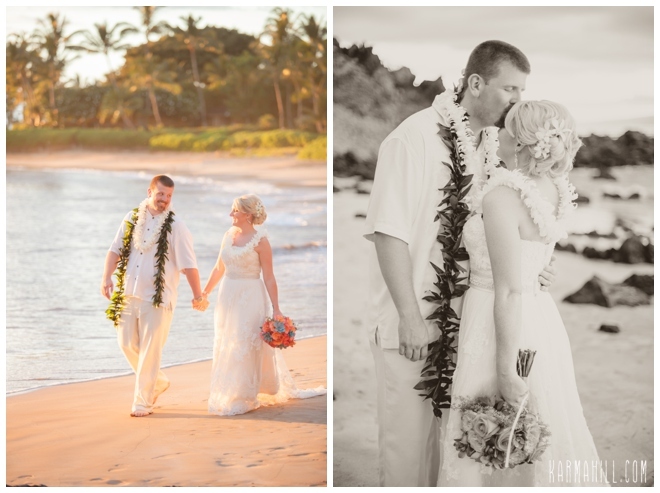 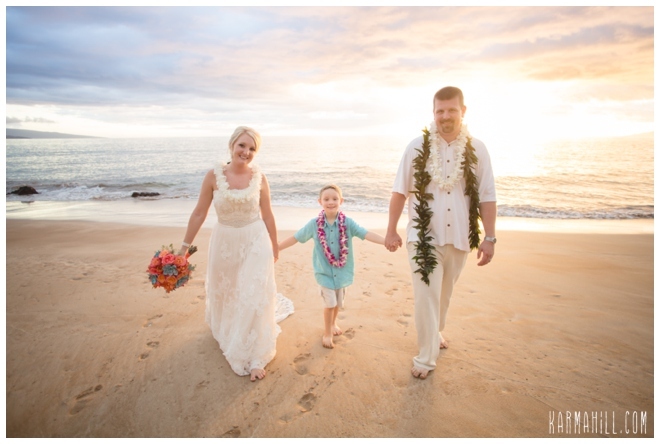 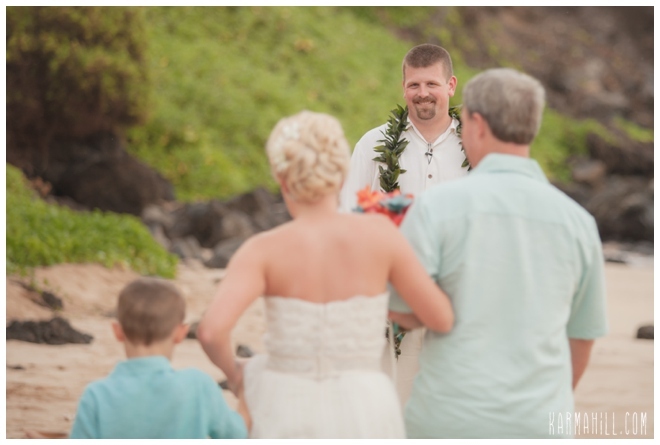 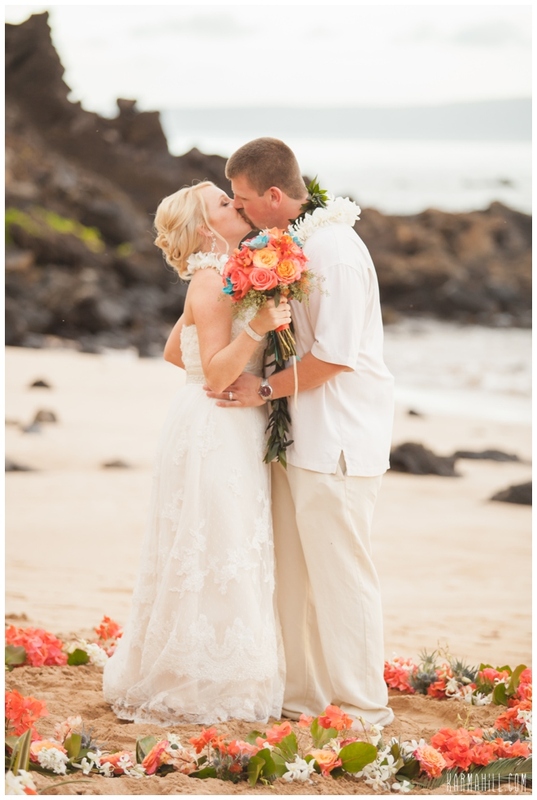 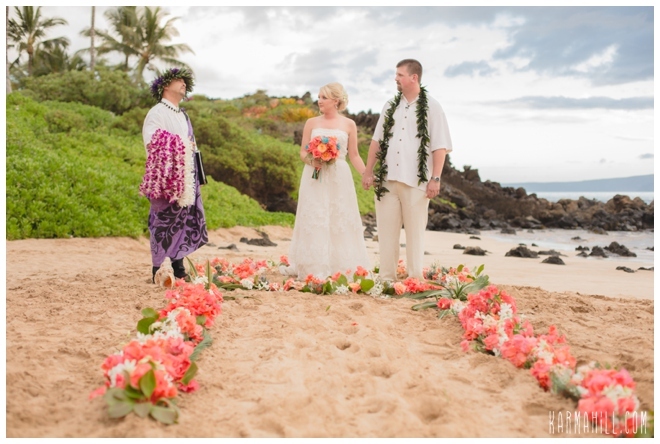 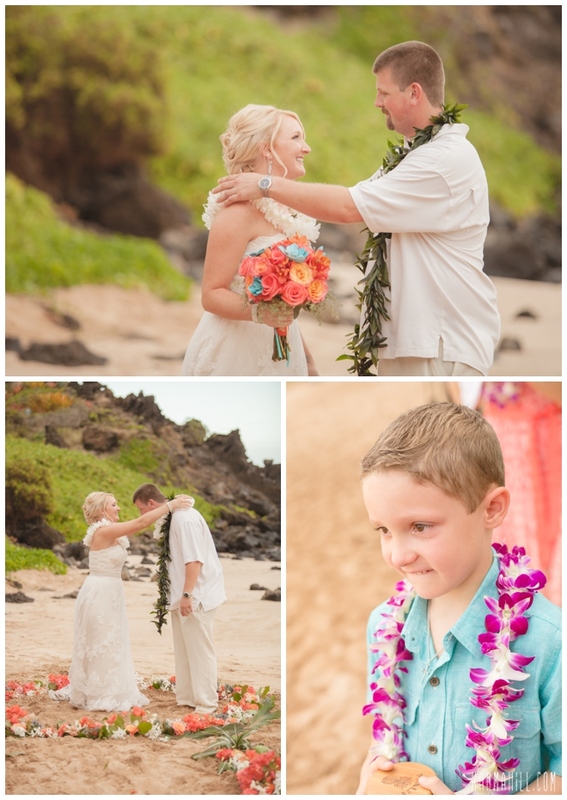 This wonderful couple had an amazing Maui Sunset Wedding on the shores of South Maui. 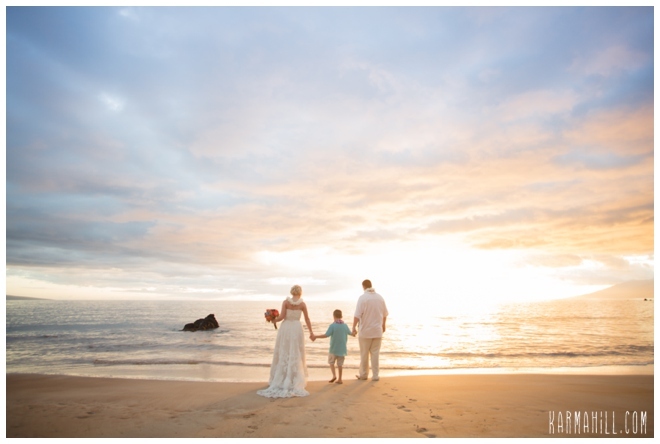 The light and sky was magical, we have not seen one like it in a very long time!! 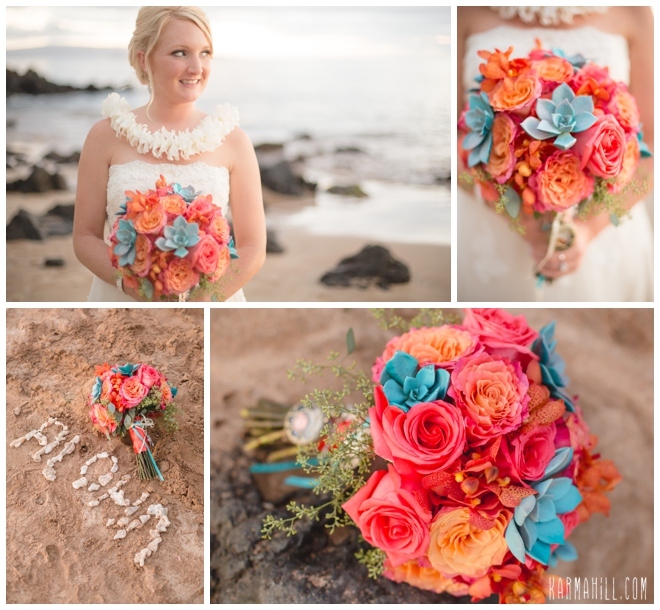 We just loved the coral and teal colors that Katie chose for her wedding, and our florist Dellables really outdid herself with Katie's custom bouquet. 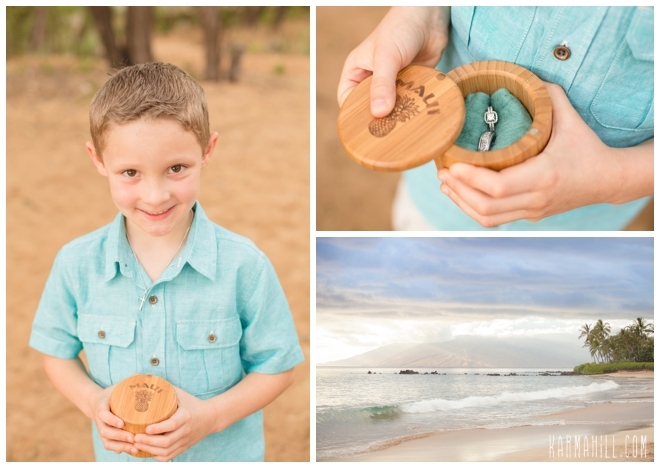 We were so touched by Katie's son who was so happy he shed tears of joy, we have to say, we shed a few along with this little guy, it was so amazingly sweet. 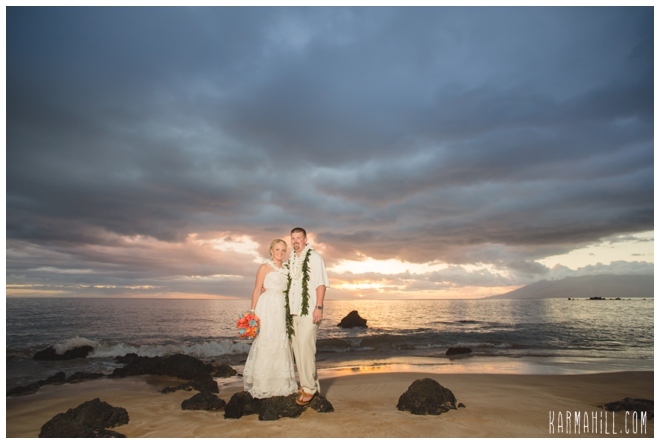 It was such a pleasure to be a part of your Maui wedding Katie and Christopher, we hope you had an amazing honeymoon as well!! 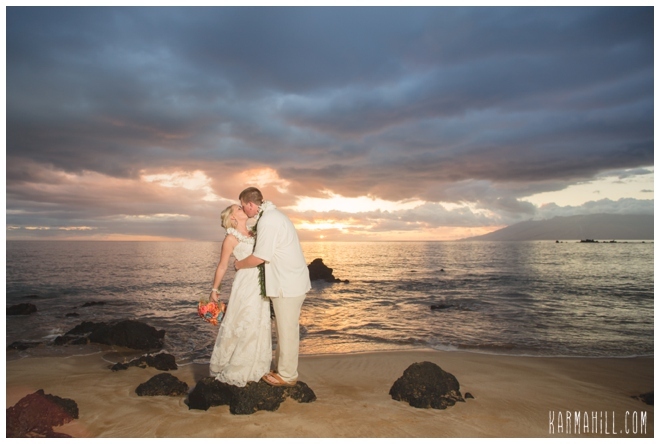 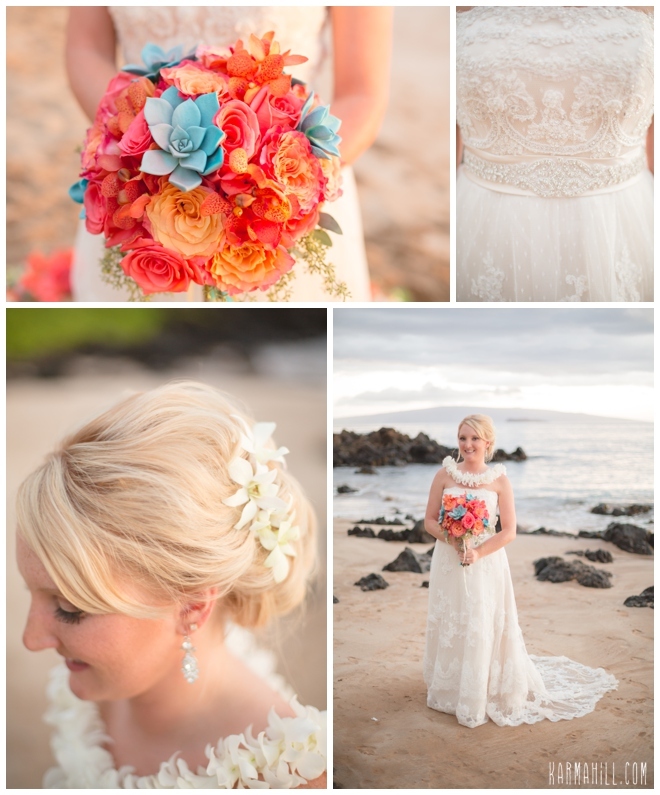 Check out our last Maui Sunset Wedding with Devon & Ryan!